WEIGHT ON DRIVERS 278,200 lbs. TOTAL ENGINE WEIGHT 441,300 lbs. TOTAL WEIGHT IN WORKING ORDER, ENGINE and TENDER 809,000 lbs. BOILER PRESSURE 240 P.S.I. MAX. 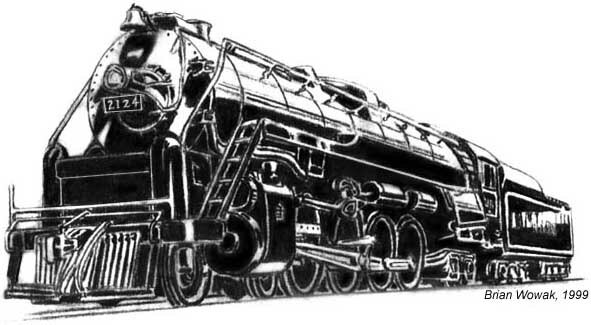 TRACTIVE EFFORT: LOCOMOTIVE 68,000 lbs. w/ BOOSTER 79,100 lbs. 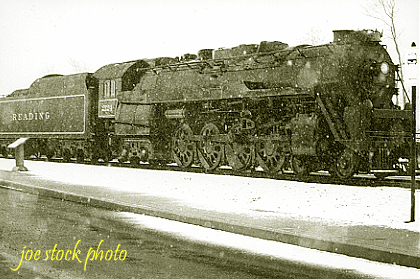 1923 - built by Baldwin as I10 2-8-0 #2044. 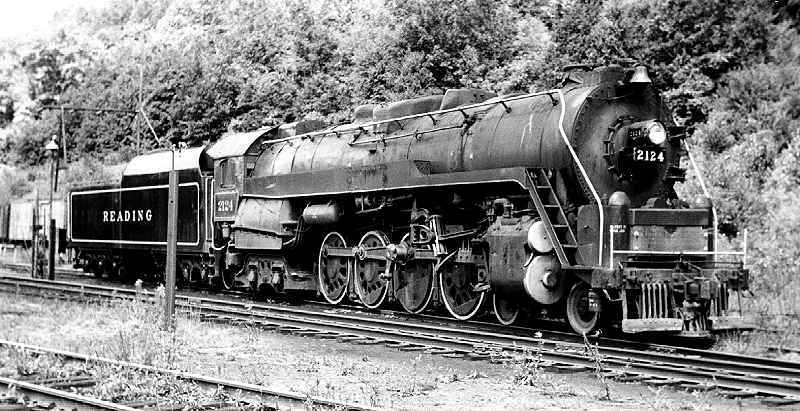 1946 - rebuilt as T1 4-8-4 by Reading Shops. 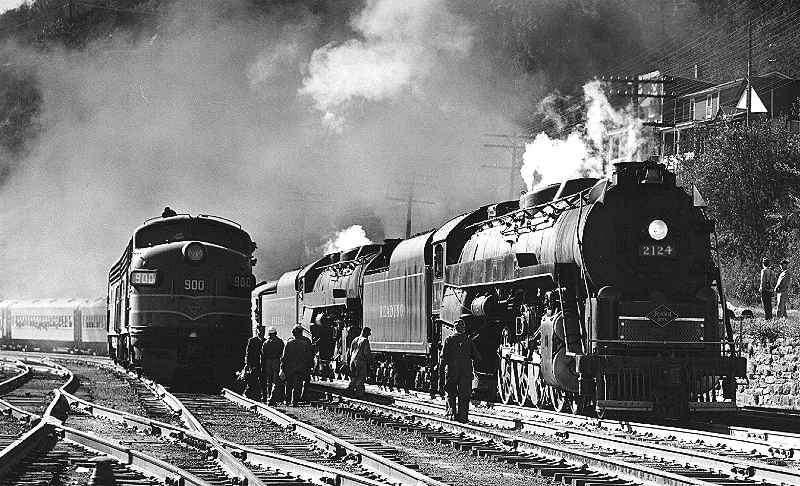 1959, October 5 - re-entered active service for Iron Horse Rambles. 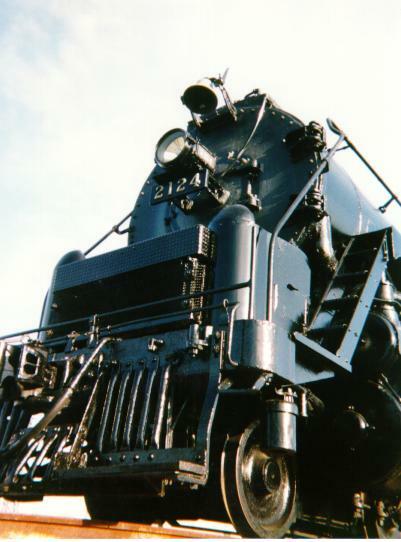 1961, October - taken out of service after trip over Catawissa. 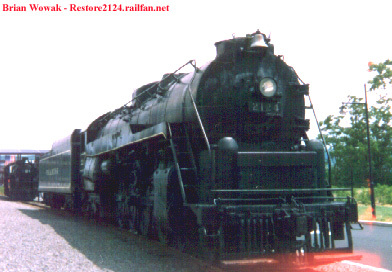 1963, July 1 - 2124 moves to Steamtown USA. 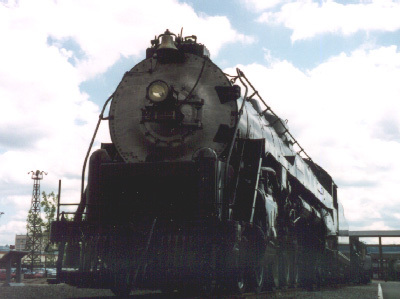 1986 - Steamtown USA becomes Steamtown NHS. 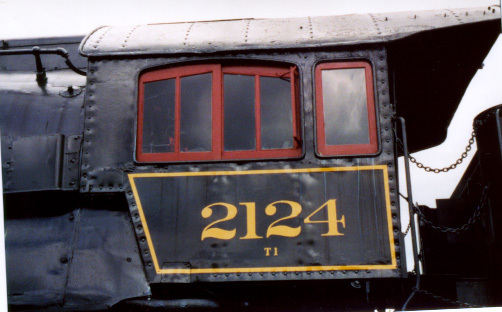 1995 - Steamtown NHS grand opening; 2124 displayed adjacent to main parking lot. 2124 casts a big shadow on display. She's big, especially when you get up close. 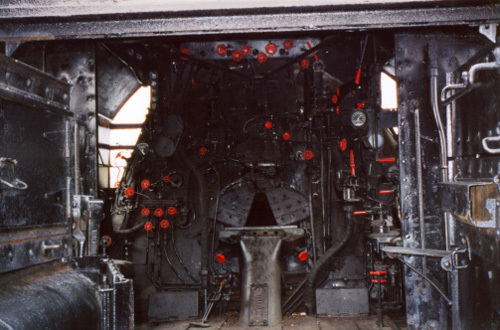 Inside the cab of 2124. View or rear, post cosmetic restoration. 2124 in a beautiful winter snow, courtesy of Joe Stock.